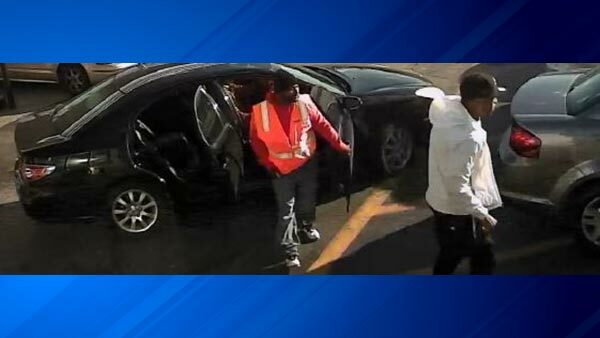 Police are asking for help identifying suspects who were involved in a robbery at a South Holland gas station. SOUTH HOLLAND, Ill. (WLS) -- Police are asking for help identifying suspects who were involved in a robbery at a South Holland gas station. Police released a surveillance photo they say shows two of the three men who robbed an employee carrying a bank deposit bag in the parking lot of a Marathon gas station on E. 162nd Street on Nov. 13. Police said the suspects got away in a black 4-door vehicle believed to be a Lexus ES 300 with gold trim. The vehicle had no license plates at the time of the robbery and the rear window of the vehicle was shot out by another gas station employee as it fled the scene. Anyone with information is asked to contact South Holland Detectives at 708-331-3131.